If you are planning to host a casino party, you cannot expect that every person will be playing. Besides the casino tables, guests should have a lot of different activity options. To help you brainstorm, we have listed some activities we have seen at casino parties before. These should give you a lot of good ideas on how to structure and plan your casino party so you maximize your guests fun. Dancing is a must at any party. If you are planning to have dancing at your party, be sure to account for the position of each casino table relative to the dance floor. You don’t want who are playing at the table to be bothered by dancers. 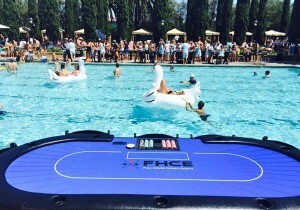 If your venue has the spacing, then don’t let it go to waste. Hire a DJ and let you guests have fun dancing with each other. While not common at casino parties, having a singer or musician at your event is a good way to give guests something to watch in-between games or drinks. If you are looking to provide guests with the most authentic casino experience possible, then this is a must have. 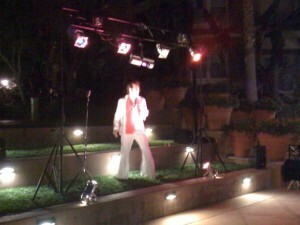 You can get musicians or find famous celebrity impersonators who will perform at your event. You can also plan this attraction so that it fits with your theme and encourage your guests to participate. Photo booths are without question one of the best activities for a casino party. They are great at any event whether it be a wedding, birthday party, fundraiser, or company party. 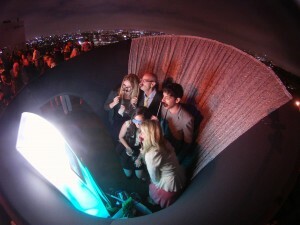 When ever a photo booth is at a party, everyone wants to get their picture taken with friends. It is also a good way for you, the host, to easily capture every guests picture without having to walk around and take each one yourself. Memorable moments will quickly be saved by the booth and you can use the photos later as displays or for promotional reasons. Whether silent or live, auctions are a good way to provide guests with an alternative activity to playing at the casino tables. If you are hosting a casino fundraiser for a charity or organization, then having an auction is a good way to generate revenue for your cause. As a host, you can ask local businesses to sponsor different items and then sell these to guests. This is a win win for you because more people are engaged at your event and more money is generated for your cause. Hosting a casino party with a pool is a lot of fun. Guests have the option of relaxing for a while by the pool or playing at the tables to dry off. As a host you benefit by offering guests just one more activity for them at your party.